The Gatton Academy of Mathematics and Science in Kentucky has selected 100 Kentucky sophomores for the Class of 2018. Applicants were evaluated based on ACT/SAT scores, high school grades, awards, extracurricular activities, responses to essay and short answer questions, and letters of recommendation. 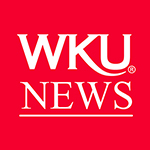 In addition to these criteria, last month, 165 candidates were invited to interview with WKU faculty members, community leaders from across the Commonwealth, and Gatton Academy alumni. The selected students scored an average composite of 30.51 on the ACT and 29.88 on the mathematics portion of the exam. The highest possible score is a 36. Students from 50 counties represent the Class of 2018. Morgan County will have a student attend The Gatton Academy for the first time, while the following counties had a second student admitted in The Gatton Academy’s nine-year history: Ballard, Caldwell, Casey, Fulton, Grayson and Lawrence. The goal of The Gatton Academy is to enable Kentucky’s exceptional young scientists and mathematicians to learn in an environment that offers advanced educational opportunities, preparing them for leadership roles in Kentucky. Moreover, The Gatton Academy assists in preparing Kentucky to compete in a knowledge-based economy by increasing the number of scientists and engineers who live and work in the state. Students will complete their junior and senior years of high school living in newly expanded Florence Schneider Hall. At the end of their two-year course of study, students will graduate from high school with a minimum of 60 college credit hours. The Gatton Academy provides a rich living and learning environment designed specifically for academically talented adolescent students that features clubs, organizations and community service. 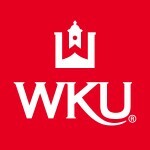 Additionally, students are able to participate in advanced research with WKU faculty members. Research conducted during students’ time at The Gatton Academy has been honored in the nationally competitive Siemens Competition, Intel Science Talent Search, Barry M. Goldwater Scholarship and Excellence in Education Program, and the Department of Defense Science, Math, and Research for Transformation (SMART) Scholarship Program. The majority of Gatton Academy students also participate in a study abroad or global learning experience in locations such as Costa Rica, Italy, Greece, England and China. The Gatton Academy is Kentucky’s first state-supported, residential program for high school students with interests in advanced science and math careers and one of only 15 such programs in the nation. In 2012 and 2013, Newsweek named The Gatton Academy the nation’s top public high school and in 2014, The Daily Beast named The Gatton Academy the nation’s top public high school. Emma Moore (Casey County High School) – daughter of Joe and Angela Moore from Liberty. About The Gatton Academy: Established in 2007, The Gatton Academy is Kentucky’s first residential high school for gifted and talented junior and seniors. The Gatton Academy’s students enroll as juniors and are full-time WKU students pursuing their interests in advanced science, technology, engineering and mathematical careers. The Gatton Academy has been named to the Washington Post’s list of top-performing schools with elite students for seven consecutive years and was named the number one public high school in the United States by The Daily Beast for three consecutive years – 2012, 2013 and 2014.